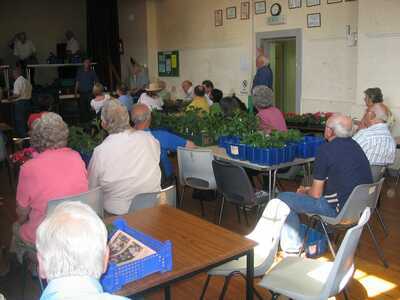 The annual plant sale was held at Wellesbourne village hall with over 50 people in attendance. Thanks to Howard Richards who provided some of the photos on this page. 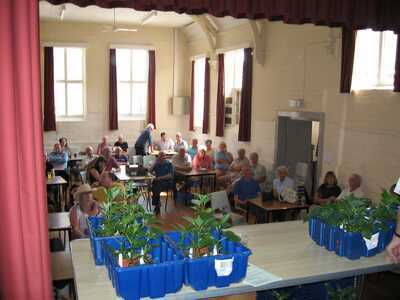 Bidding was lively - starting with £2 paid for Evoca Salmon plants. This was followed by bids of £3 for Alf Ramsey - the popular Giant Dec. The highest bid was for a Pom Pon Hallmark - pink in colour. This soared to £4.60 per plant! 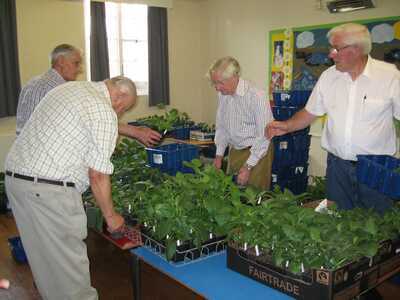 Such are the vagaries of the 'market' - I paid £1.70 each for 3 plants of Moor place, also a Pom Pon. Plants other than Dahlias were on sale. 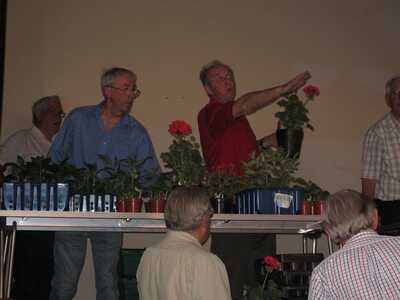 Here we can see Ron (the chairman) explaining how large his special begonias will grow, and at such a bargain price. I think the most unusual item sold was some 'organic' Rhubarb, with a wine recipe attached! Given the hectic bidding, it was time for some refreshments. 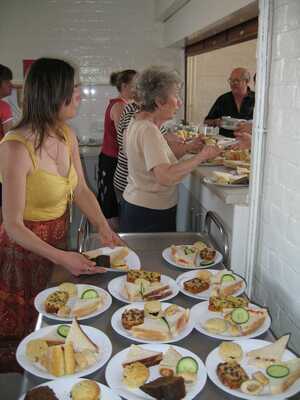 The catering team had done an excellent job, providing many different sandwiches and cakes. Teas and coffees were also in demand. 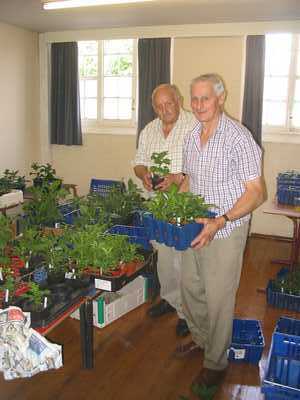 The backroom boys, sorting out the many plants donated by society members. What' special about this one Fred? 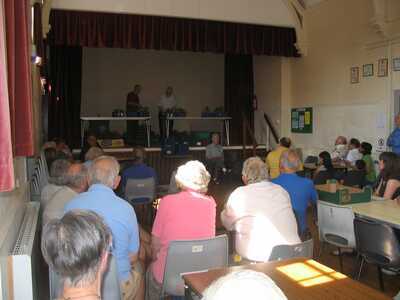 Another lot being taken to auction by society patron Fred. This is what we like to see - happy customers. 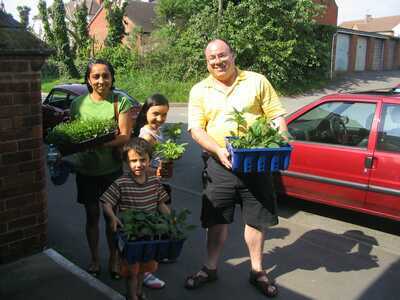 I'm not sure what Graham and Anne actually bought, however I hope they have a big garden! I reminded Anne that if she had questions to look at the web site, or send an e-mail.